• Preheat oven to fan 180°C, conventional 200°C, gas 6. • Line mini muffin tins with paper cases or baking parchment. • Drain raspberries, reserving raspberry syrup. • Sift the flour and baking powder into a large bowl and stir in the sugar. • Combine the oil, eggs, and raspberry syrup and beat well. • Pour over the flour and mix. • Fold in the raspberries and chocolate chips and then pour mixture into cases. 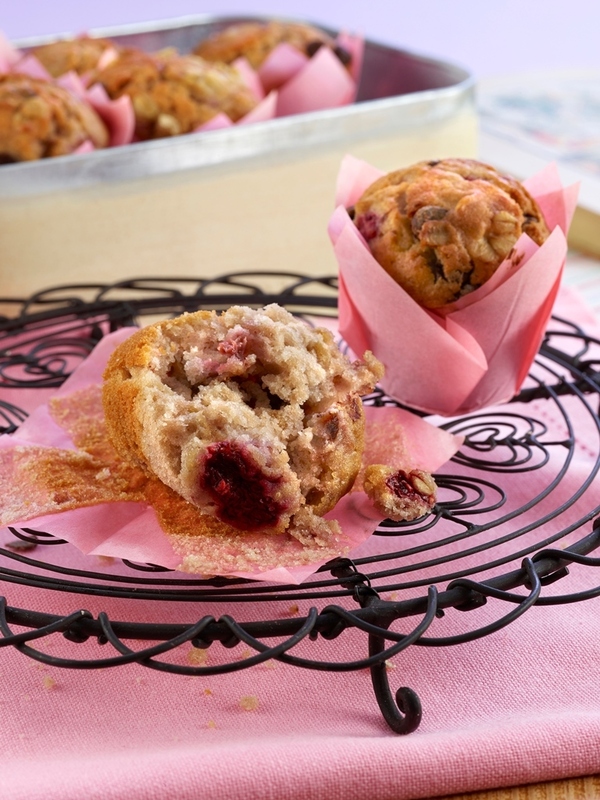 • Sprinkle oats on the top of each muffin. • Bake for 15-20 minutes until well risen, firm and golden.